Hope you all have a great weekend and a fantastic St. Patrick’s Day. Here I am showing you what I wore on Sunday. Of course with it being Paddy’s Day I wore green. I also just so happened to have my nails painted green over the weekend and I got so many compliments on the colour. I got this nail polish in Urban Outfitters but I also have an identical (scented) colour from Rimmel. Now, back to my outfit. You might recognize some of these items as everything I am wearing here, except for my bracelets, have featured in previous posts. 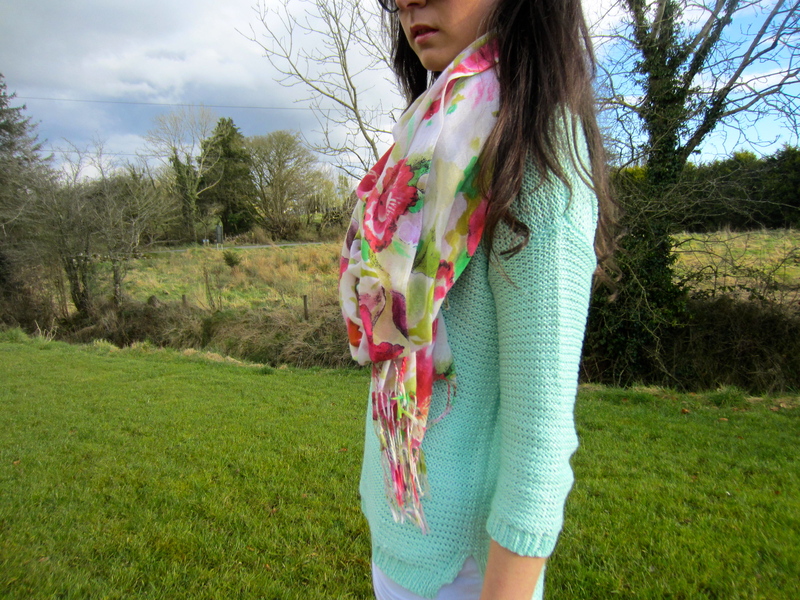 My mint green knit jumper, dark denim jeans and sunglasses are all from Penneys. 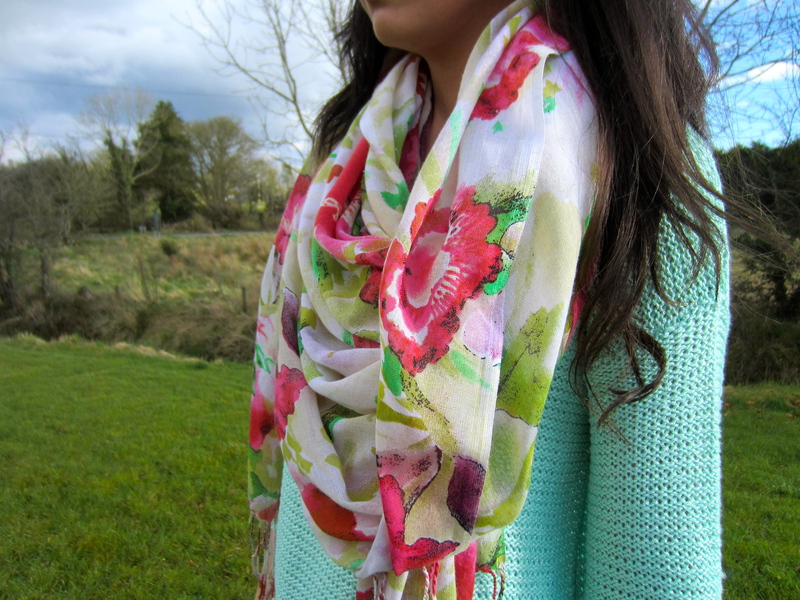 My gold buckle navy flats are from River Island and my floral scarf is from A|Wear. Finally, my green and orange bracelets are from H&M. 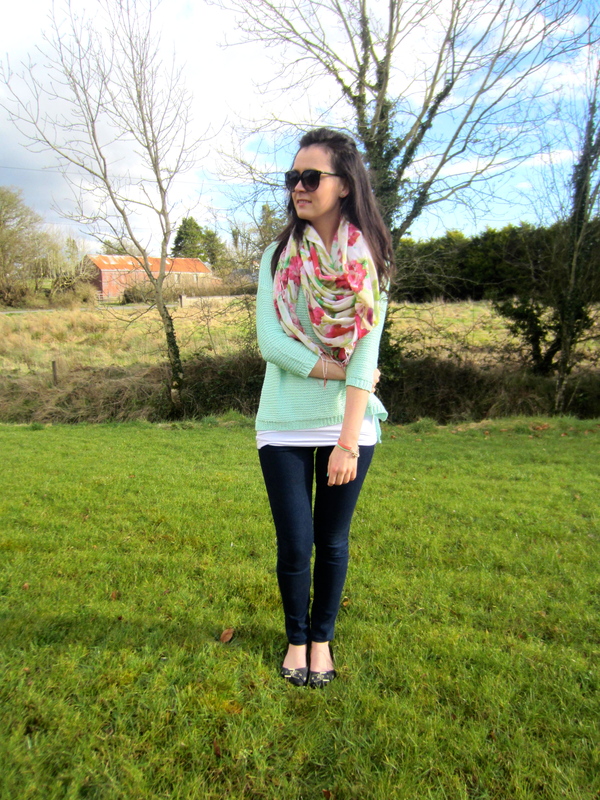 I love the mint, the entire outfit- cute!